EnergySmith Home Performance not only offers customers excellence in home performance, but we also train others in building science principles Building Analyst,(BA), and Building Envelope Professional,(BE) Certifications. We follow Building Performance Institute (BPI) Standards and Building Science Principles providing certification in a number of different areas and specialties. A certified Professional ensures that the client receives proper information when having their home accessed. 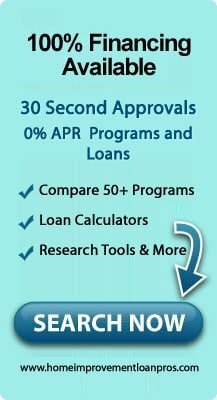 As a BPI Proctor, (Mike Fowler) can assist you in obtaining a BPI certification. Energy is a great concern for many folks today and rising costs will make this even more true in the near future. There’s never been a better time to look seriously at a career in the Energy business. BPI ANALYST is trained to inspect and diagnose home energy performance; then do the work necessary to make your home or business safe, comfortable and efficient. BPI ENVELOPE SPECIALIST is trained to identify the pressure and thermal boundary and be sure the work done on the property is done correctly. The Building Performance Institute, Inc. (BPI) is the nation’s premier standards development and credentialing organization for residential energy auditing and upgrade work. We are helping build an industry and create a workforce through professional certification, company credentials, home energy rating systems and quality assurance services. BPI certification is for those working in the retrofit market for existing homes. BPI Building Analyst certification is the industry standard and the starting point for most people who get a BPI certification. BPI Building Analysts are among the most highly respected in the industry. In addition, BPI offers several other certifications for various specialties. As a BPI proctor, Mike is working with Green Training USA to help improve the knowledge base of contractors nationwide. The retrofit industry will change in a major way in the upcoming years, but many changes in code and the knowledge needed to weatherize a home properly are already here. Get the best of both worlds! The convenience of online learning combined with hands-on training* in real-world settings. * Hands-on training is for applicable courses only. We also offer the flexibility of online-only training as well as classroom training. See individual course descriptions or call us for details. 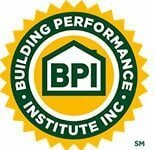 Building Science at it’s best through proper training with BPI.